Octavio is a stuffed octopus friend for children who are overcoming their fear of the dark. Squeeze one of his tentacles and “suckers” along his legs light up, softly illuminating a nighttime bedroom. Made from soft, stretchy purple velvet, Octavio is the perfect texture to snuggle up against a child’s face overnight. Powered by three AAA batteries and lit up by a few dozen pink LED lights, the resulting glow is soft and interferes minimally with night vision. Each of the eight legs has three or four LEDs running along the interior surface, simulating tentacle suckers, while a few more are balled up and diffused inside the core of the head, creating a soft glow from the body itself. Children often have a whole slew of stuffed animals and toys. While fun in the daytime, they tend to contribute to the messy mystery that makes the nighttime bedroom so intimidating for small children. With its own light and personality, Octavio is different. He provides a gentle light that puts the child in control of their surroundings. 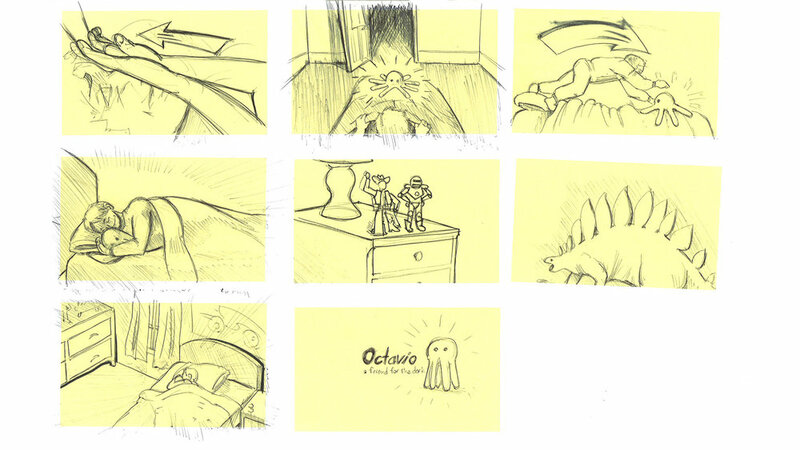 In order to demonstrate Octavio’s value to a larger audience, the design team decided to use video storytelling to recreate the sense of childhood fear of the dark. 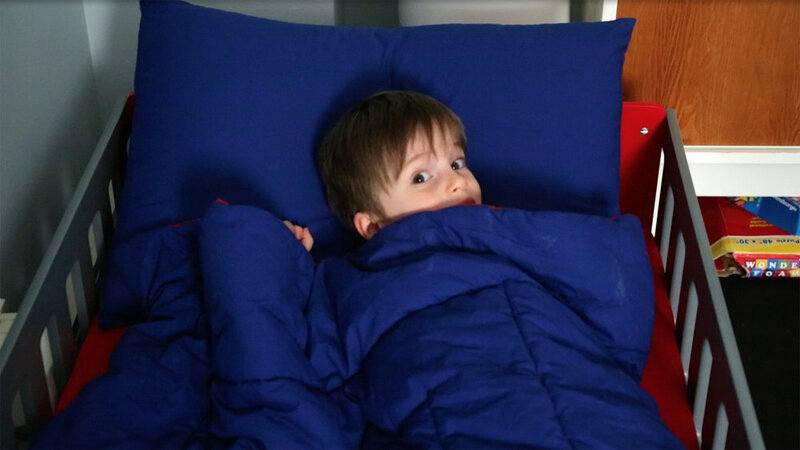 Enlisting the acting talents of Owen, a friend’s three-year-old son—and choosing his bedroom as the shooting location—designers Seb Harmsen and Will Crum were able to portray a user in the target age range in an authentic environment. 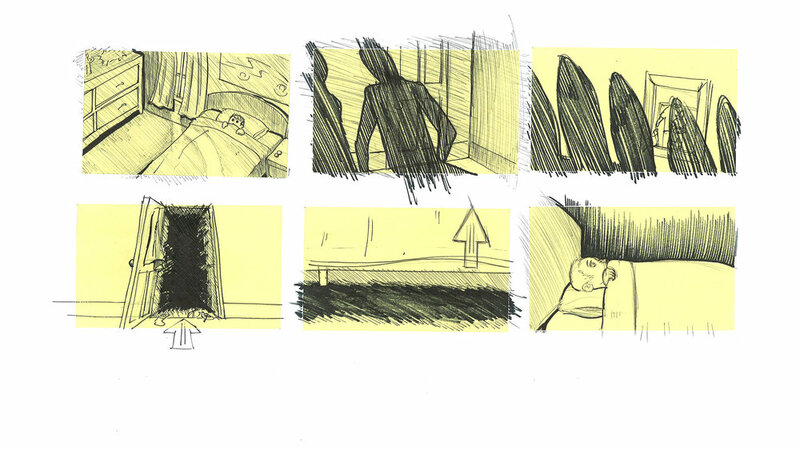 From there, they were able to craft a story poised on the tension around the fear of the unknown, and the relief that comes with knowing.